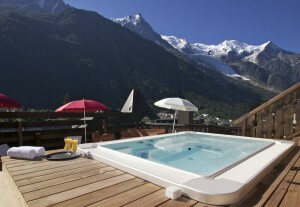 Chamonix, mountain sports capital, can also be conducive to relaxation! ! 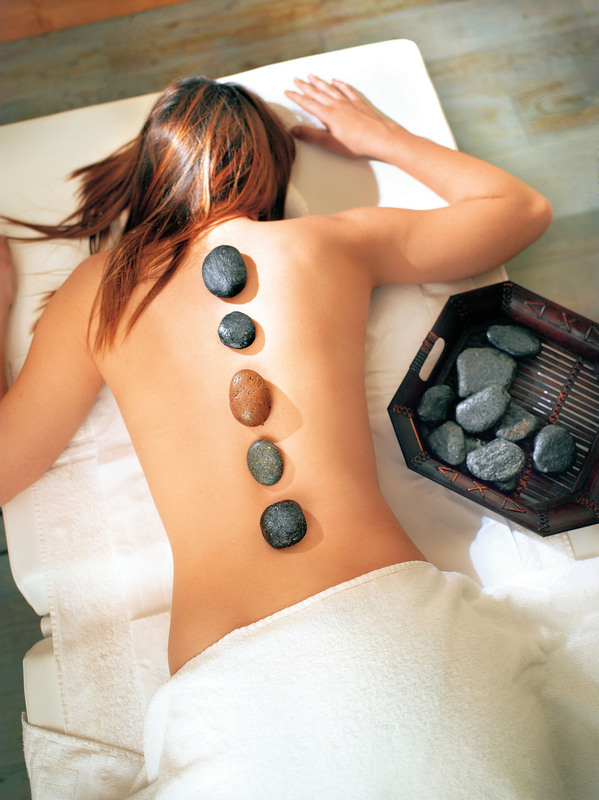 Check out these special offers: Pools, Spas, open air Jacuzzis, fine dining and tea time treats! The following establishments propose a gourmet lunch which includes access to their Spa facilities: pool, hammam, sauna, jacuzzi. 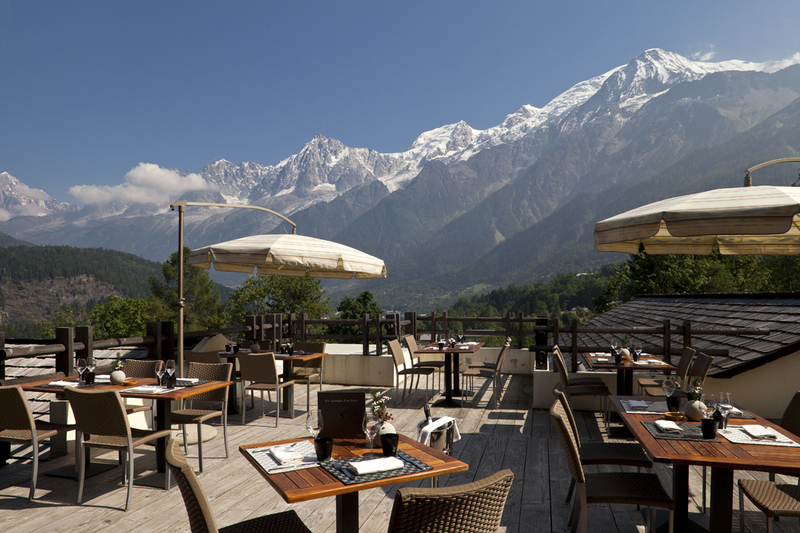 Enjoy lunch in the traditional Parkhotel restaurant and discover the roof top Serenity Spa and terrace in the very heart of Chamonix with 360° views! 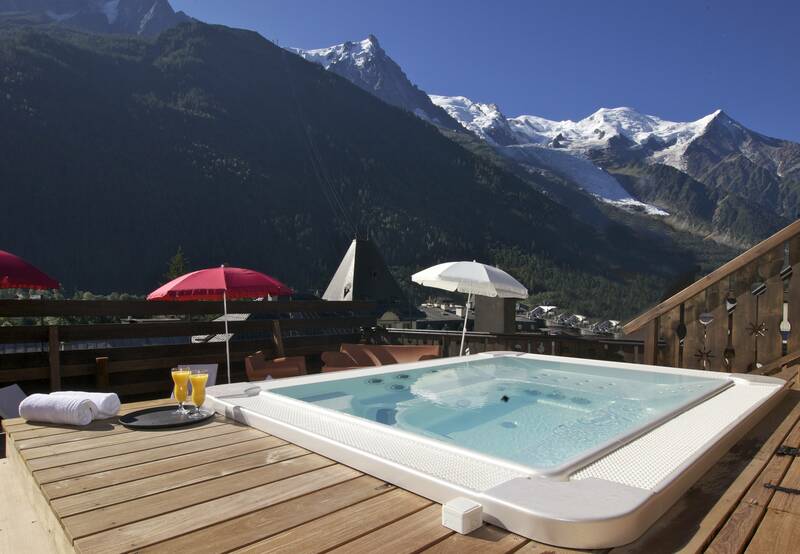 Enjoying an exceptional location above the village of Les Houches, the Crystal restaurant and the Caudalie Spa and pool are most definitely worth the trip! 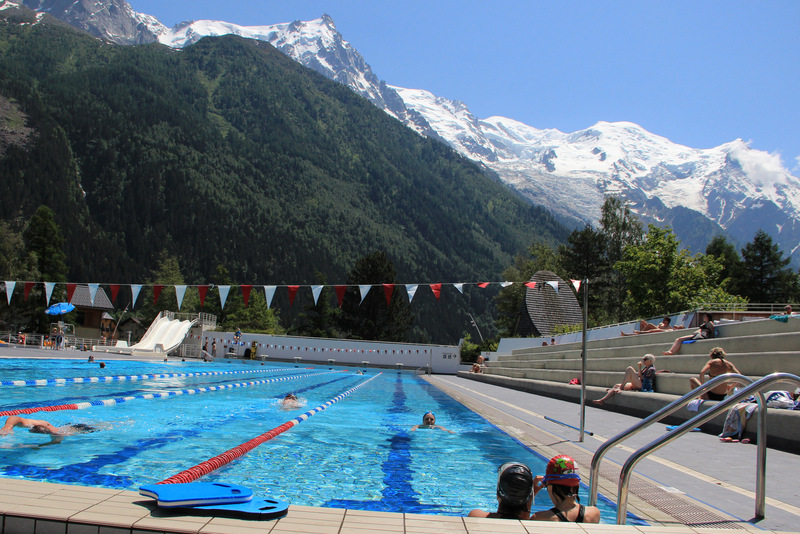 Take the gondola lift up from Le Tour (45 minutes on foot if you walk up), and don’t forget your bikini or trunks! 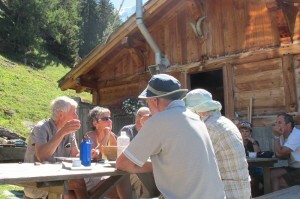 Reservations not necessary – Jean (John) is the charming host at Charamillon. If you have a sweet tooth, this is the place for you! The gardens of the Hameau Albert 1er are also open to the public for refreshments. 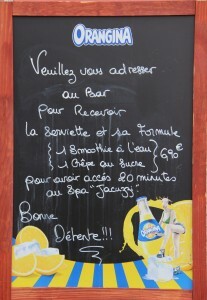 Access to the swimming pool is reserved for guests of the Spa “Le Bachal”. A selection of traditional refreshment chalets, locally known as creameries, all within 1 hours walking distance – ideal for family outings. 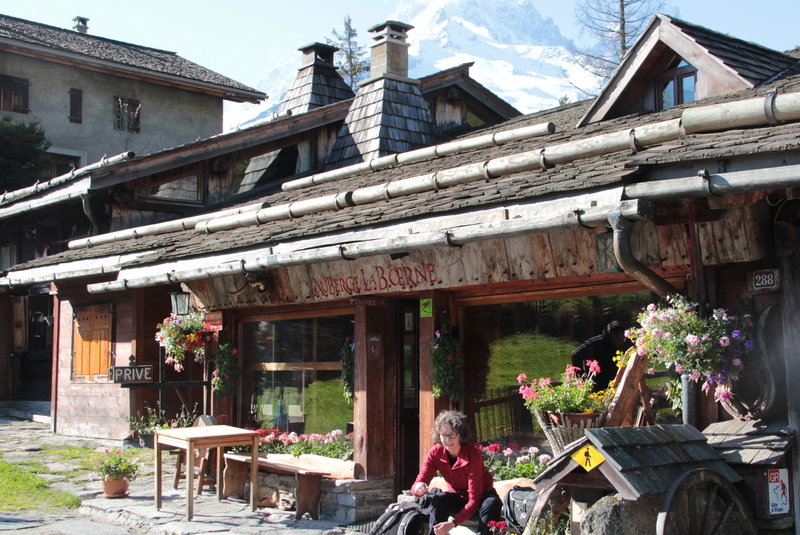 Many of these alpine cafés date back to the 19th century and without exception, they share a rich history of tradition in unique locations. 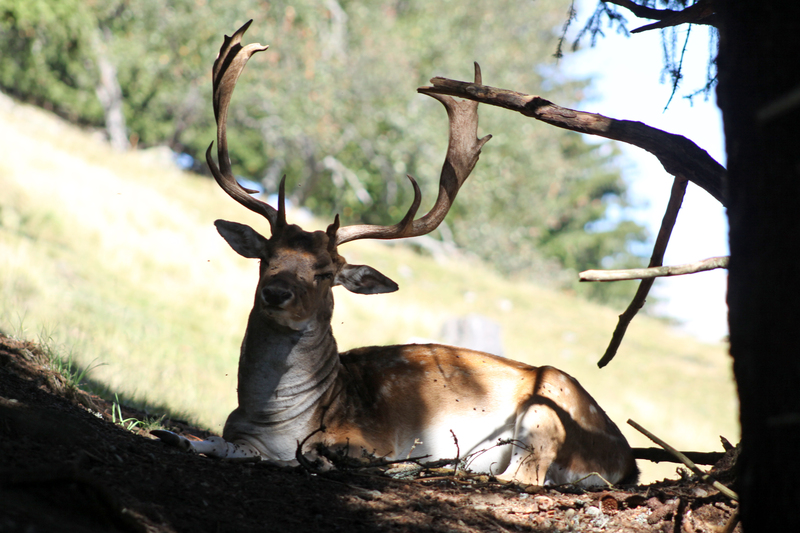 Many were formerly associated with mountain pastures when the refreshments came straight from the milking parlor – hence the name “creamery”. 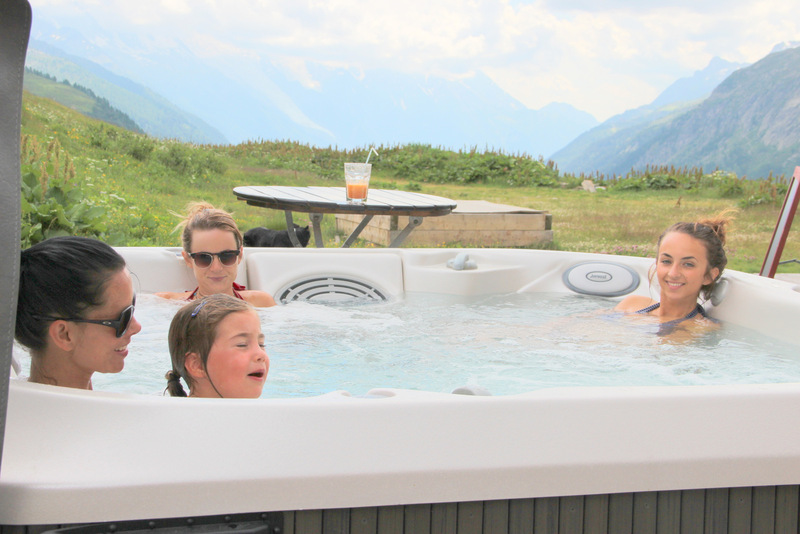 All chalets are open daily from mid June to mid September and some for longer. 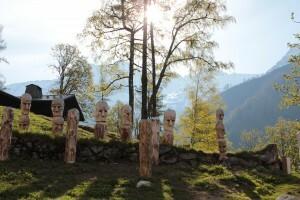 Certain chalets will also open for small parties on request in the evening. 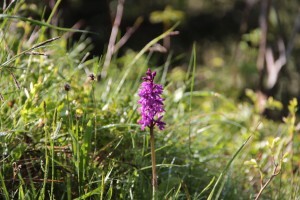 A detailed walking map is available for purchase at the tourist offices of the Valley. The Chalet du Glacier offers an exceptional view over the seracs of the Bossons glacier (the longest ice-fall in Europe with 3500m vertical drop). 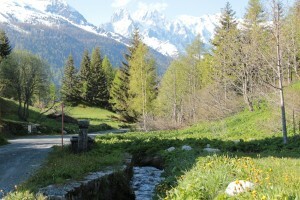 It can be reached on foot from the village of Les Bossons, or via the chair lift which offers a bucolic ride over lush pastures and traditional chalets. 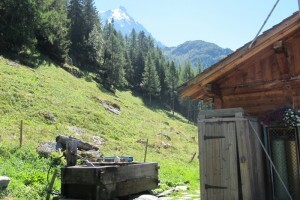 The Chalet du Glacier is probably the oldest of the Valley as it dates from 1824. It has been moved and modified numerous times, subject to the ebb and flow of the glacier and enjoys its current location since 1955. In 1870, visitors flocked to discover the very first ice grotto, hewed out of the side of the Bossons glacier. 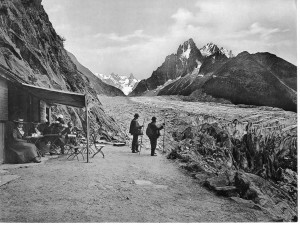 Whilst the ice cave no longer exists, visitors can discover a thematic trail dedicated to the history of the glacier. The chalet also exhibits remnants of historic plane crashes on Mont-Blanc, including the undercarriage of the Indian Constellation “Malabar Princess”! Access: 45 minutes from Les Bossons Village or 10 minutes from the top of the chair lift. 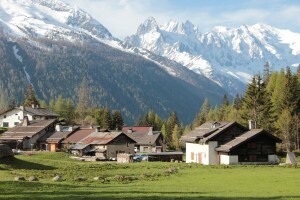 Located on the right bank of the Bossons glaciers (left hand side looking up from les Bossons) the Cerro chalet offers a dramatic, plunging view over the glacial moraine to the valley below. Like its twin counterpart, the chalet du glacier, the Cerro dates back to the 1800’s. 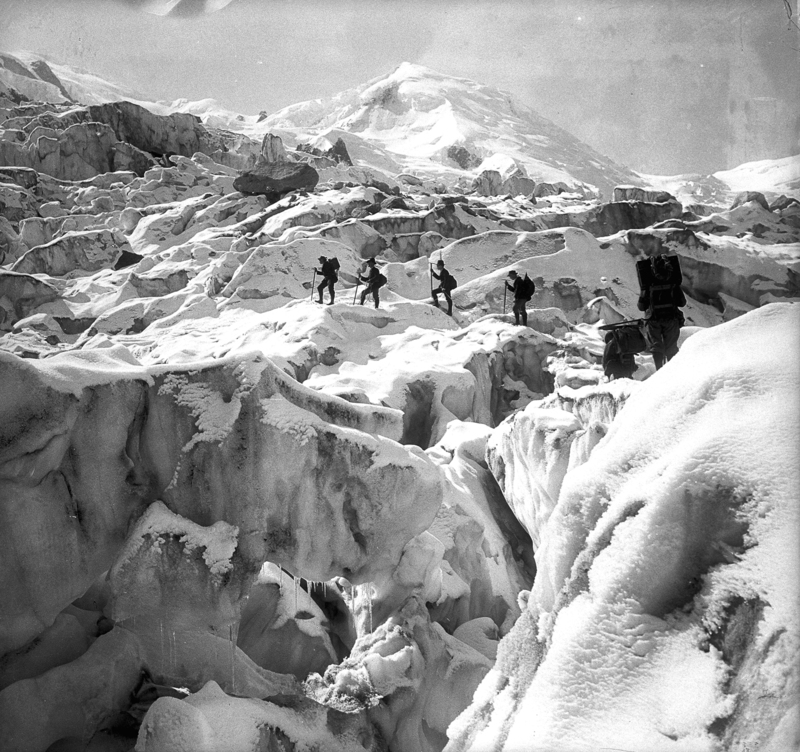 For nigh on a century, it played an important role for visitors traversing the glacier with their guide via the “ sentier du glacier supérieur” or the “sentier du Pavillon des Pyramides”. The chalet is open daily, but also evenings from Wednesday to Sunday – the sunsets from the terrace are superb. Alexandrine’s specialties include a sweet farcon (made with apples, brioche and secret ingredients), a duo of frogs legs, snail crumble and for the more traditional… home made tarts etc. 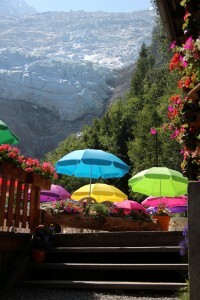 The chalet sits in a tranquil position, shaded by giant conifers, just below the access to the Mont-Blanc tunnel. 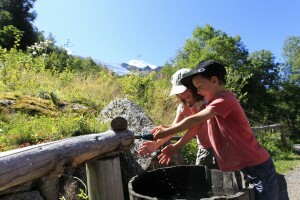 Beyond the chalet in a delightful clearing is the Dard torrent and waterfall. The site has been appreciated for many generations. The initial pavilion was built in 1834 by the Favret brothers, who served tea and cakes to the first tourists! The chalet’s specialty is “le Farcon”, a delicious slow cooked potato, bacon and prune dish, typical of the region. Open every day and Tuesday evenings in July and August with guitarist and singing . A superb belvedere, overlooking the villages of Les Praz and les Bois, an incredible display of flowers adorning the chalet and its terrace, and an incomparable panorama of the Mont-Blanc Massif – the Floria is a hidden gem, just 45 minutes from Chamonix! The chalet is situated on the edge of a well worn trail that hitherto was the cow path to the alpine pastures of the Flégère. 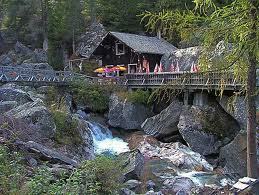 It was built by a certain Simond in 1914 and offered a pleasant watering hole for its users. After the war, the chalet was considerably improved by Roger Demarchi, guardian of this temple of contemplation for 47 years! 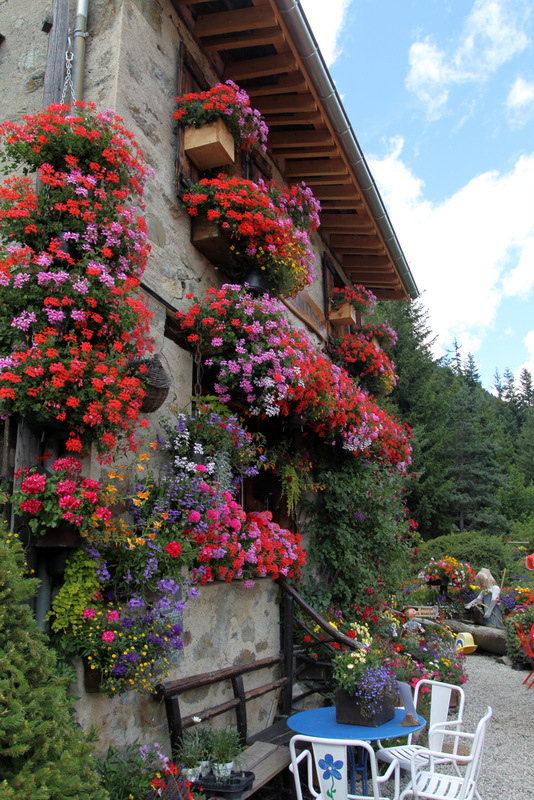 The chalet is now run by the Mermouds, who take a pride in the chalet’s appearance… I think it would be fair to say that they have green fingers! 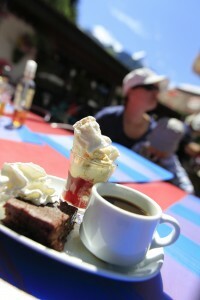 They also serve delicious homemade blueberry tarts and many local specialties. Perched high above the Mer de Glace, the chalet du Chapeau experienced a succession of golden ages! 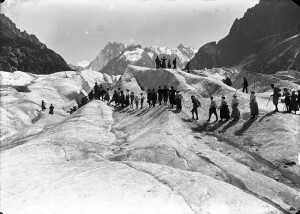 Initially when illustrious visitors traversed the “sea of ice” on guided excursions from the Montenvers; later when the Chapeau became a popular watering hole en route for the Couvercle hut; and subsequently when it became a stop off point for skiers descending the Valley Blanche. With the decline of the Mer de Glace, the glacier now lies 150m below the chalet and it is hard to imagine that any of these options could have been possible! 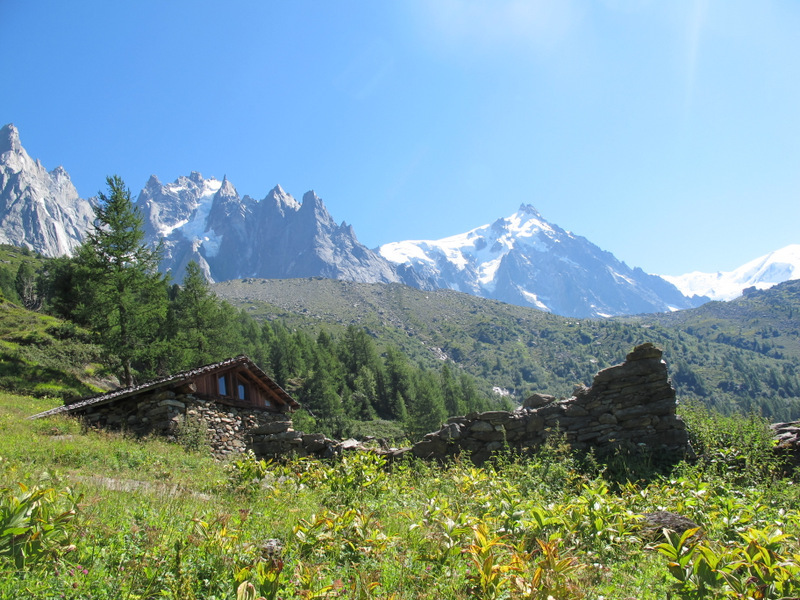 Nevertheless the Chapeau offers exceptional views across to the Aiguilles du Rochefort and the Grandes Jorasses and to the lakes of the glacial moraine far below. 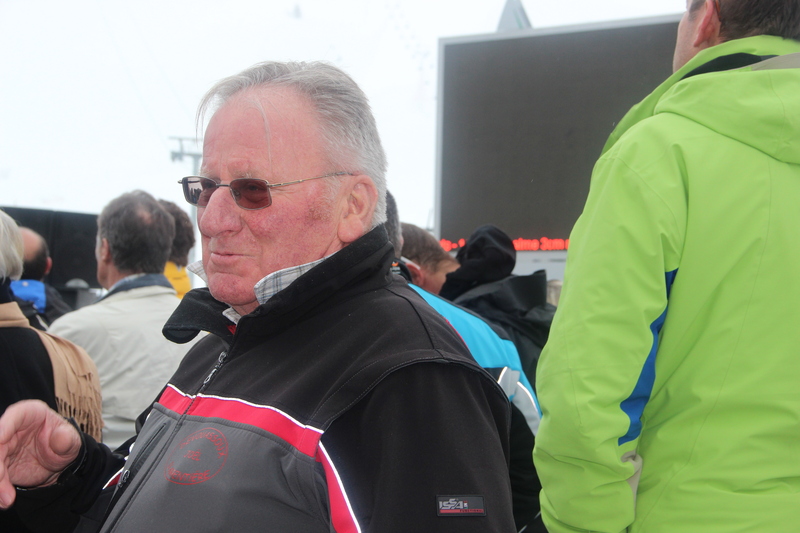 The actual chalet was rebuilt in 1955 by Luc Couttet and the present guardian is his grandson Thierry. A pupil of some of the best chefs in the Savoy, Thierry is most definitely a foodie and his sweet pastries are well worth the walk! 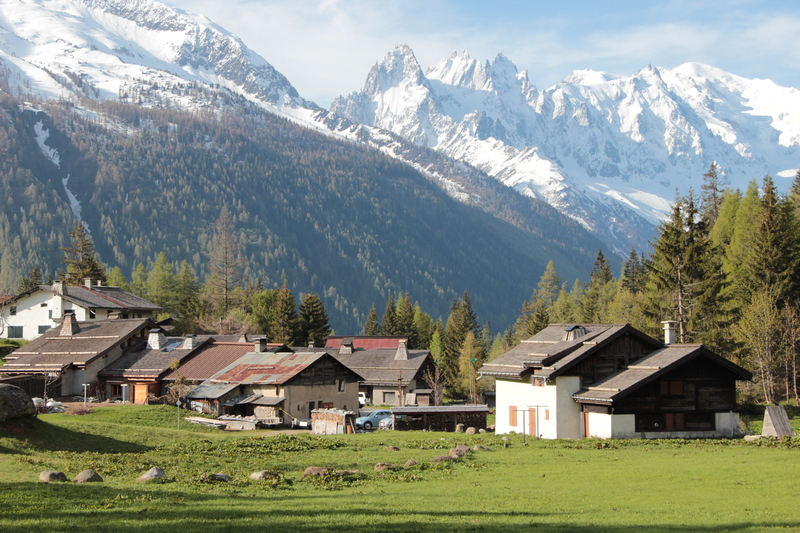 Situated in a clearing in the woods, behind the village of Argentière, the Crémerie is just a short walk from the old village. On the way to the Crémerie you may discover is a delightful play area for children, with stream, 2 ponds, wooden slides, climbing frames etc. The original chalet was built by Georges Ravanel in 1926, when extracting ice from the glaciers to supply the hotel industry was a thriving activity. 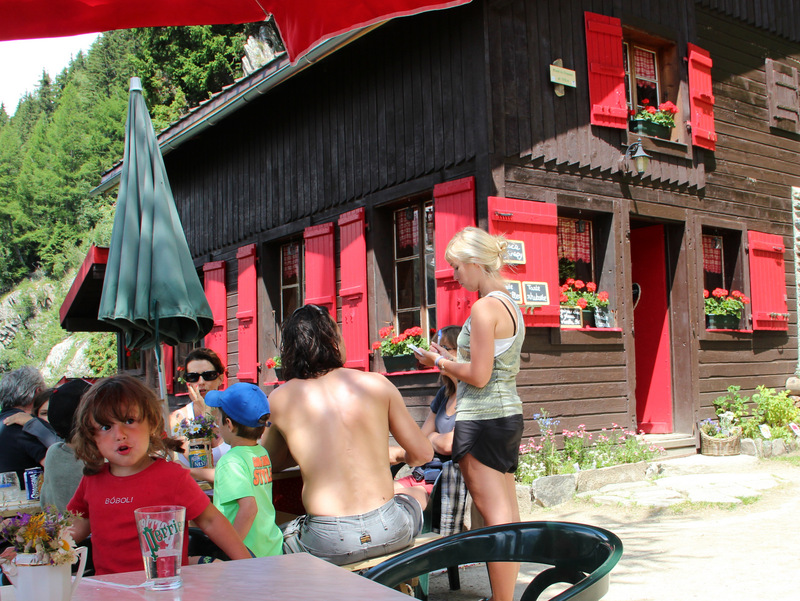 It later became a tea shop for thirsty hikers and has been in the Ravanel family ever since. Claudy Ravanel, one of George’s grandsons, has developed the restaurant and the establishment is a very popular pit stop for skiers in winter too. 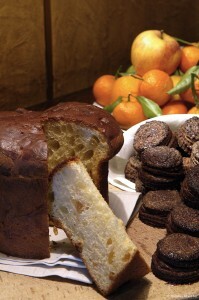 The Ravanel “croutes” (numerous varieties of cheese on toast) have developed an international reputation! 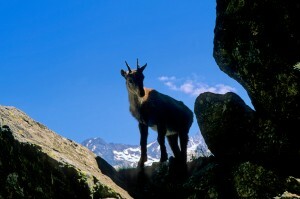 Access: 20 minutes from the Grands Montets car park or from the old village of Argentière. Located at the northern end of the Chamonix valley, just above the hamlet of le Buet, the Berard chalet and waterfall are a delight to behold! 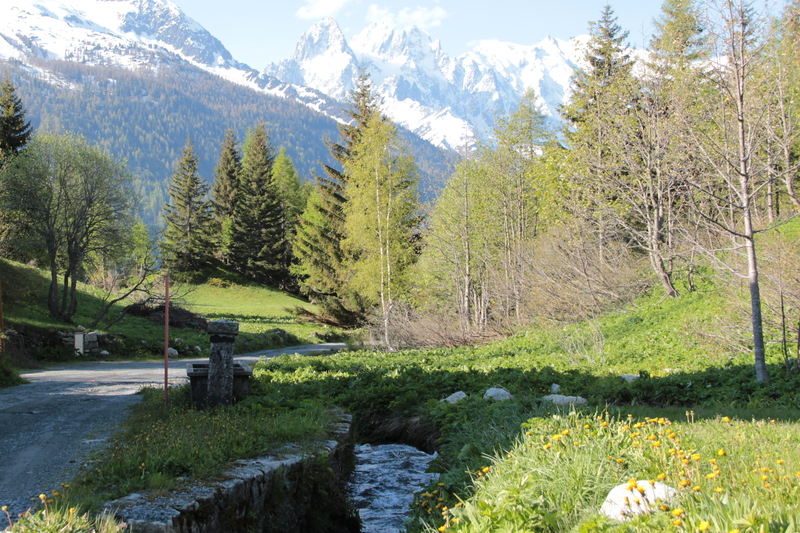 A gentle walk through lush pastures, passing through the hamlet of La Poya with its traditional stone dwellings, will bring you to the entrance of the Berard valley. 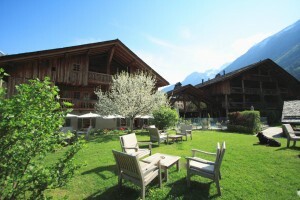 The chalet sits on the edge of an impressive waterfall and is reached by a wooden bridge which crosses the lively torrent. 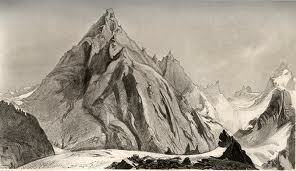 According to legend, in 1873, the counterfeiter who went by the name of Farinet (a sort of local Robin Hood who shared his false money with the poor) hid out in a cave concealed behind the waterfall to escape the “gendarmes” (police forces). 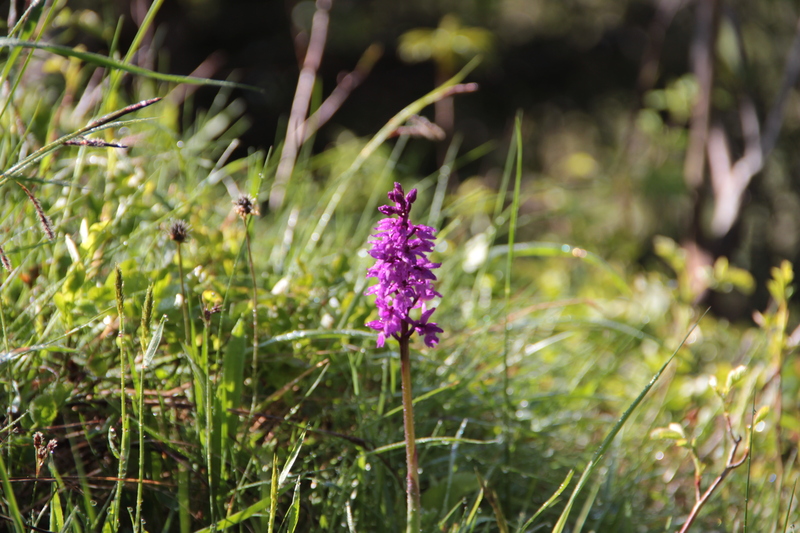 Access: 30 minutes from the Buet car park. According to the locals, the total snowfall measured this winter at 1400m was 12 metres! Last snowfall to date in Chamonix on 29th May 2013! Surprisingly snowfall at higher altitudes (2,000m) was 12.5 metres, so not much more than in the villages of Montroc and Le Tour. 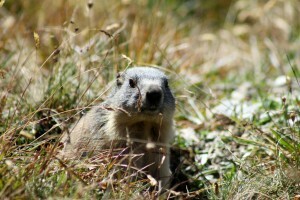 A very long, very snowy winter which has extended well into spring. 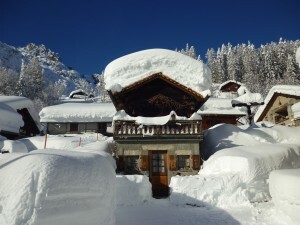 The quantity of accumulated snowfall is greater than winter 2011/12, which was already a great season (11 metres at 2,000m), but considerably more than previous winters where the average total snowfall was 7 metres at 2,000m. So far, so good… we didn’t suffer from the heat in May ! Another well known figure in the valley is Joel Devouassoux. In winter his days often begin well before dawn and finish when the job is done, as he snowploughs around the clock to ensure that skiers can make fresh tracks elsewhere than in the lift car parks ! 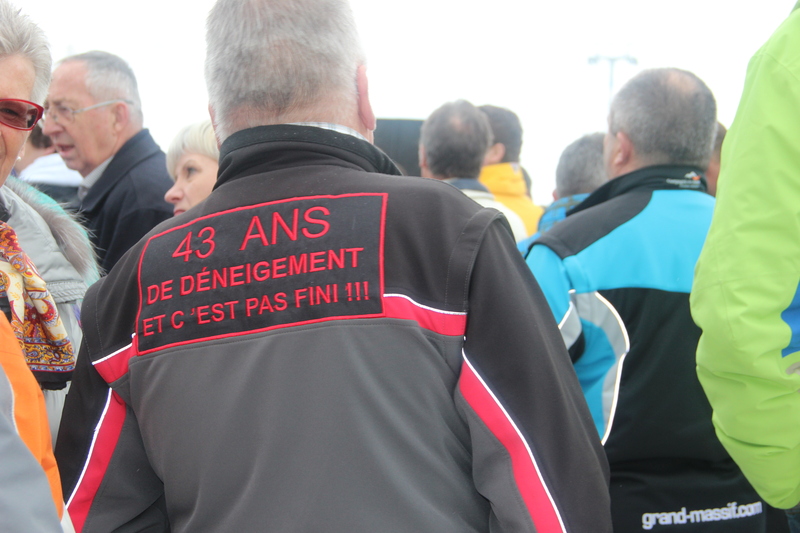 Joël has been clearing snow for 43 years and he proudly exhibits his customized jacket at every occasion! 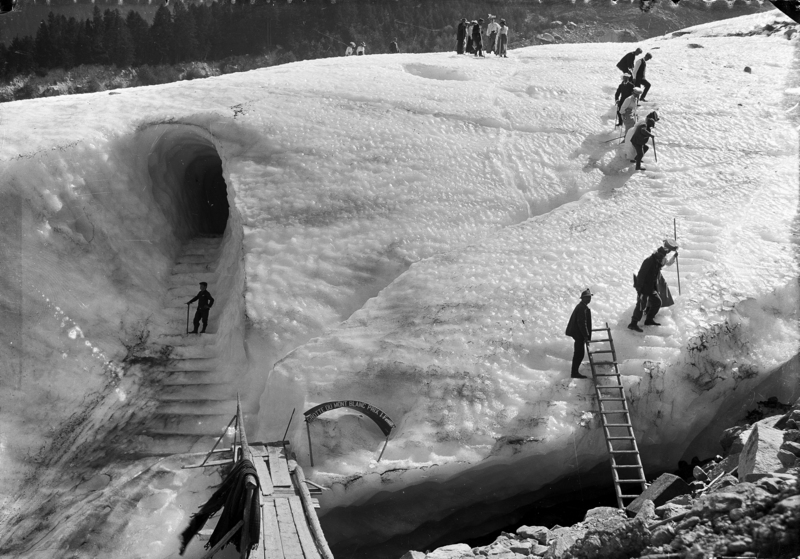 43 years of snow clearance and it’s not finished yet! A consequence of this long hard winter is that there is still snow above 1600 metres (particularly on the north facing slopes) and many mountain trails are not yet accessible to walkers, or require specific equipment for crossing snowy couloirs. It is strongly recommended to visit one of the Chamonix Valley tourist offices or the OHM (High Mountain Office) in Chamonix to find out where one can walk safely, without taking unnecessary risks. 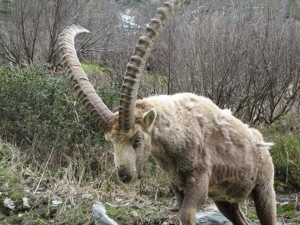 Whilst out walking, you may encounter one of these hardy Ibex, looking for something juicy to chew on! 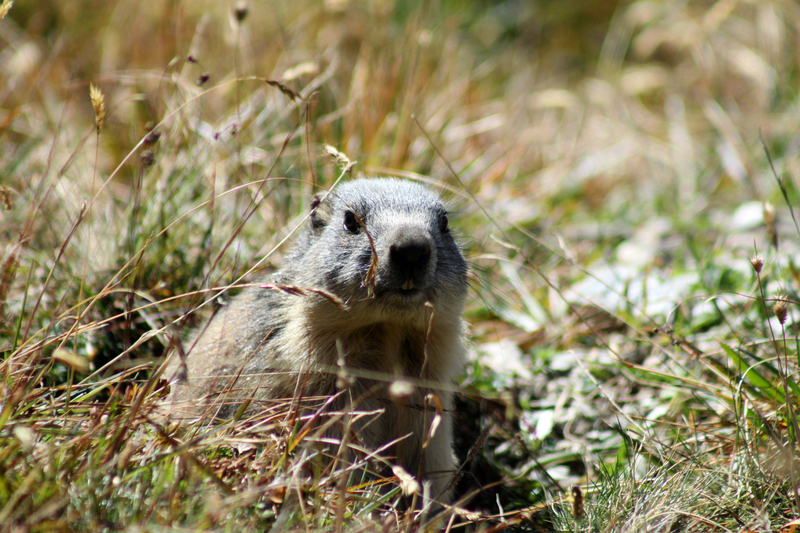 The mountain fauna are hungry and the vegetation is later than usual, so they are grazing quite low! 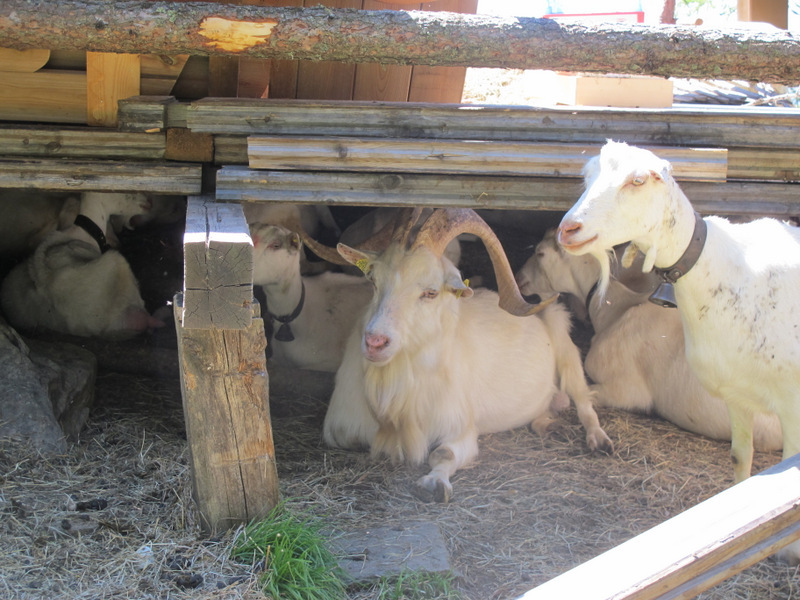 If they are blocking your path, give them a wide birth, they can be agressive if they feel threatened, but otherwise they will ignore you.